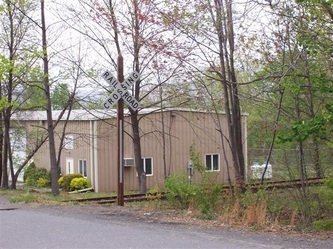 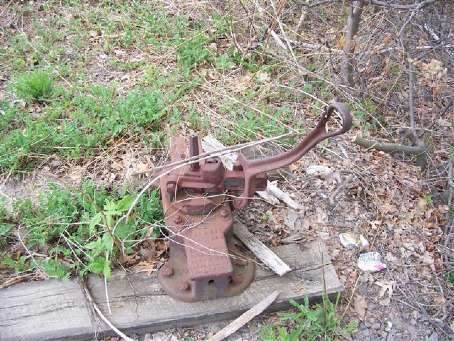 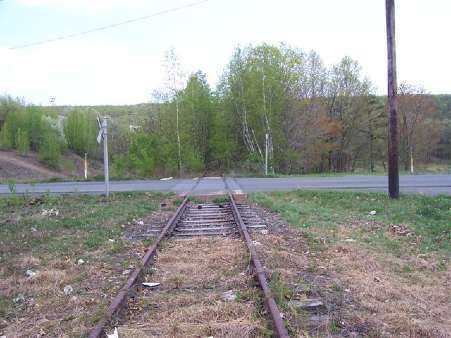 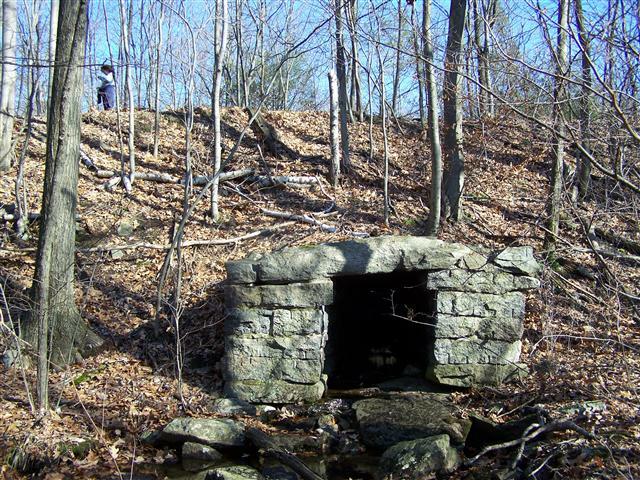 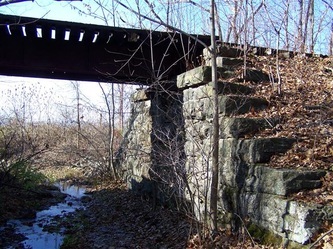 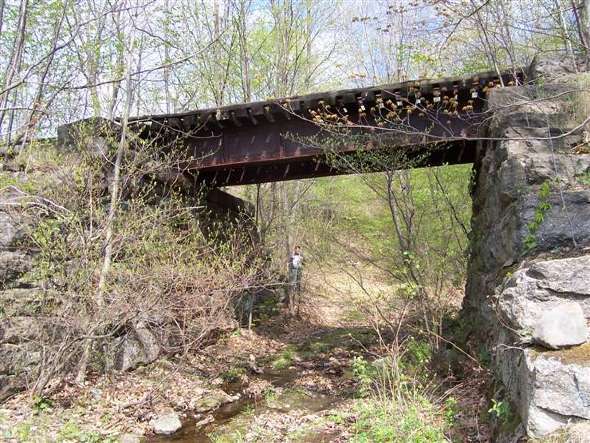 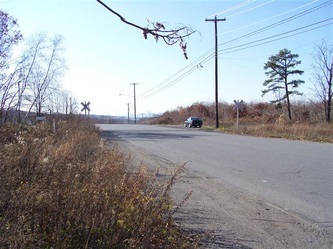 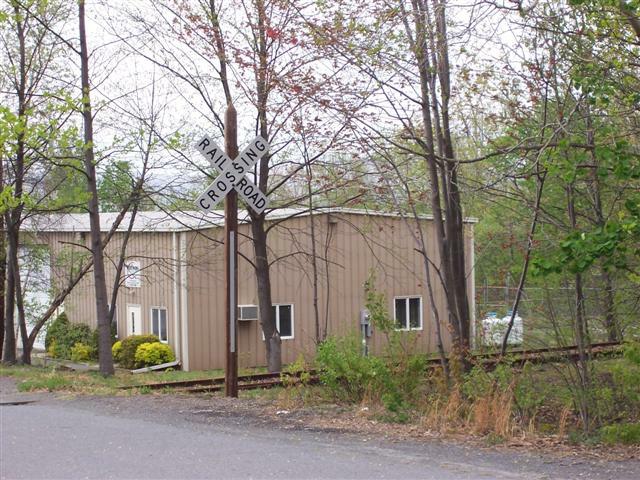 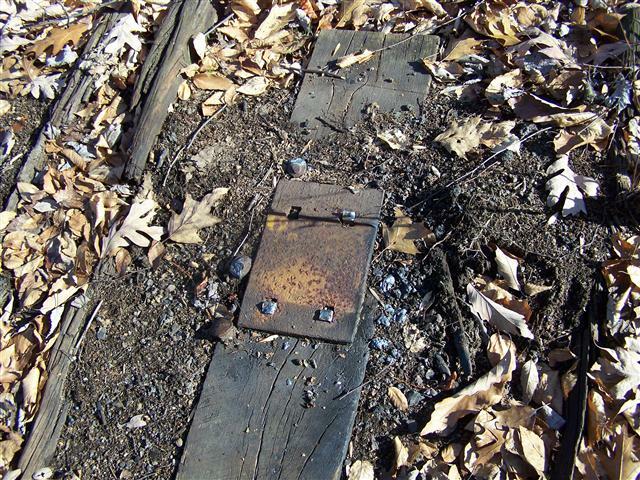 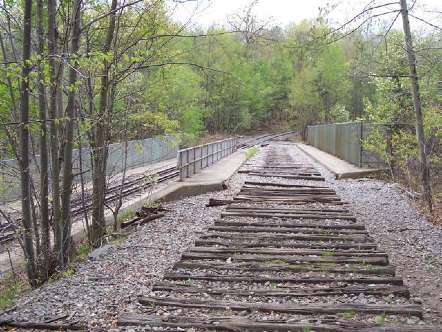 NOTE: The reference to this being part of the Wilkes-Barre & Eastern Railroad is once it crosses Suscon Road. 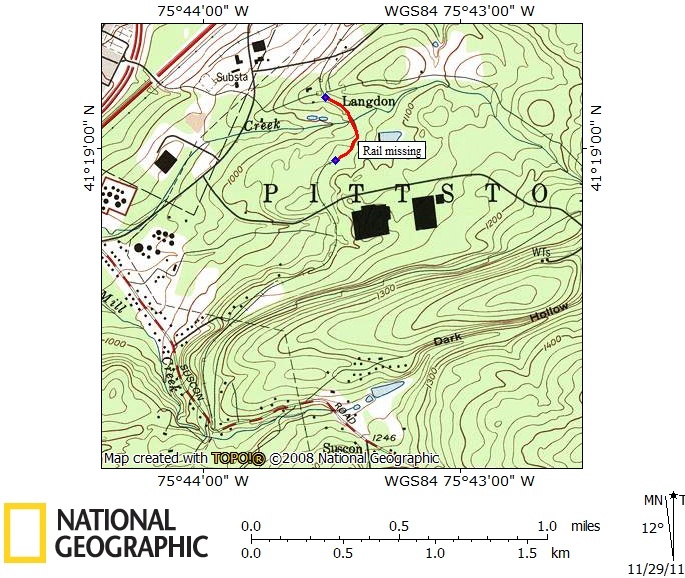 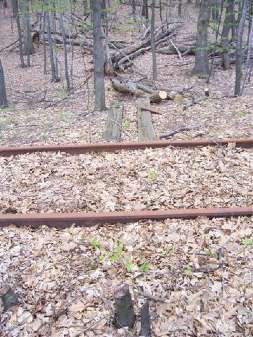 The reference in the header was the Langon Branch which crossed over this line. 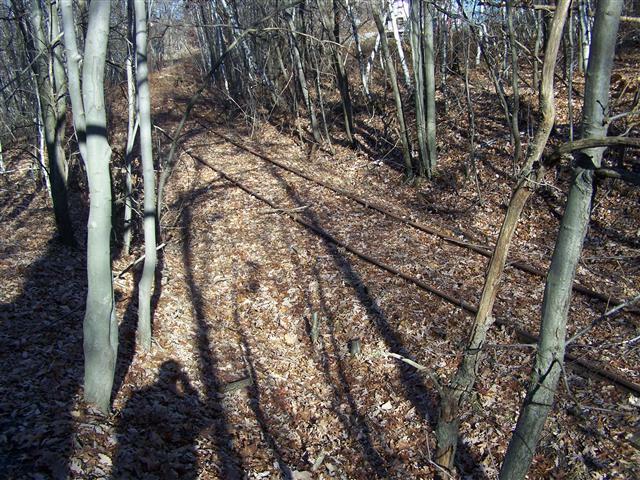 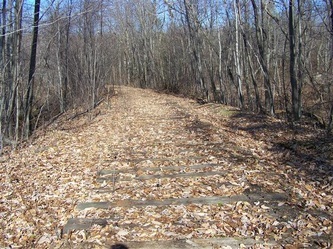 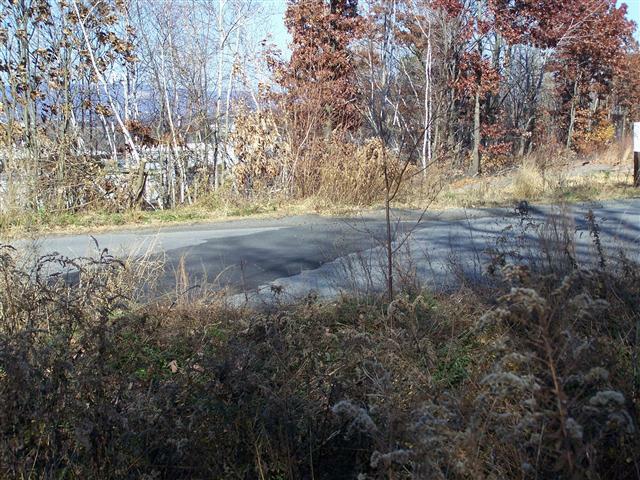 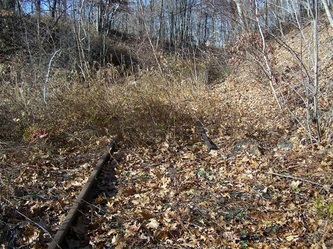 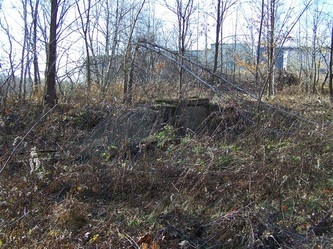 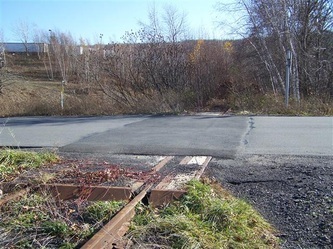 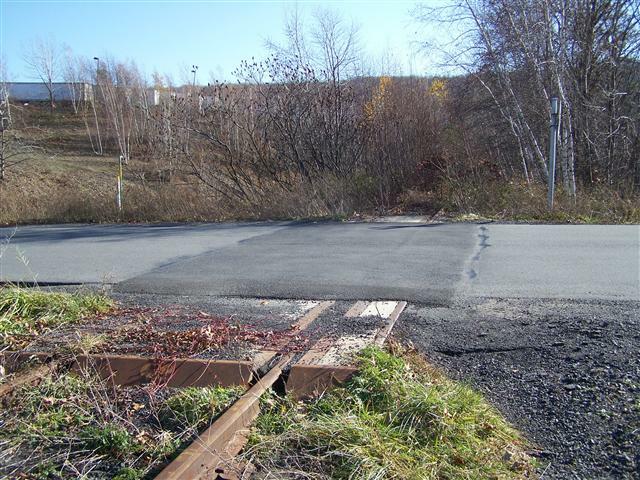 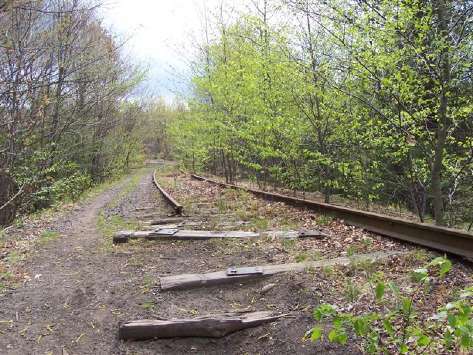 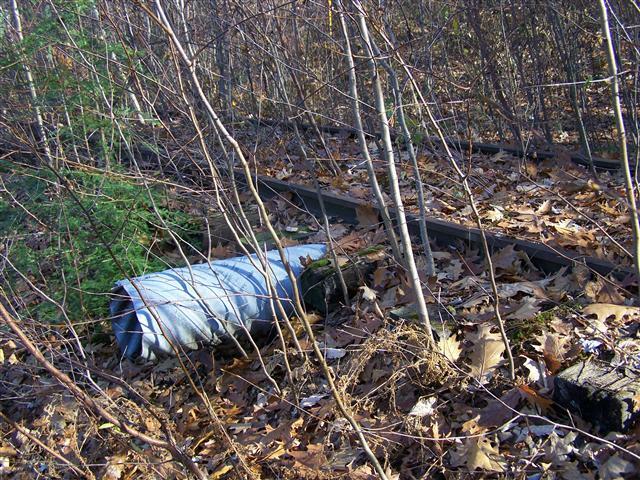 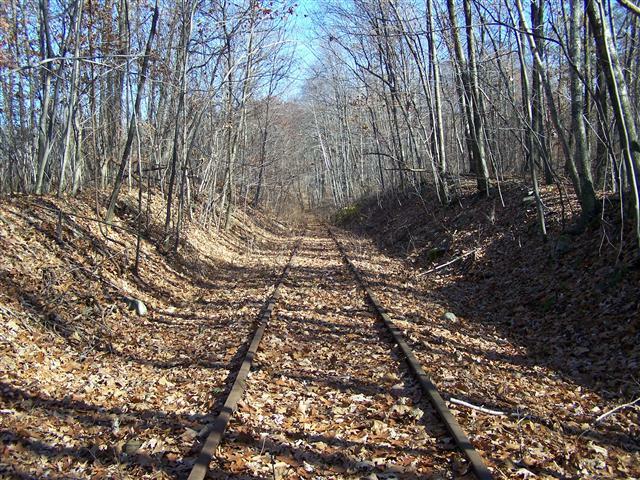 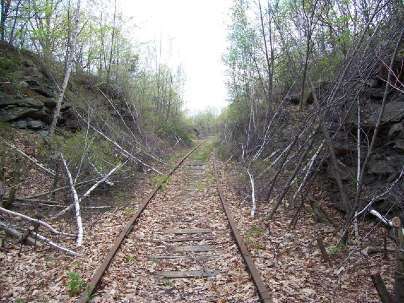 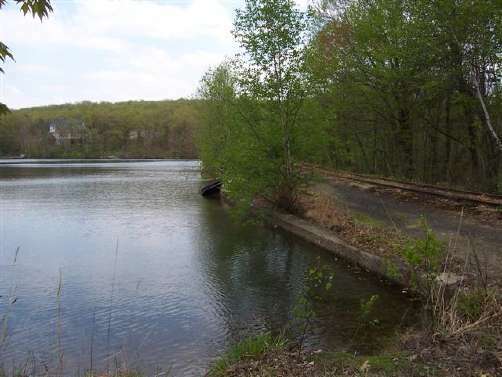 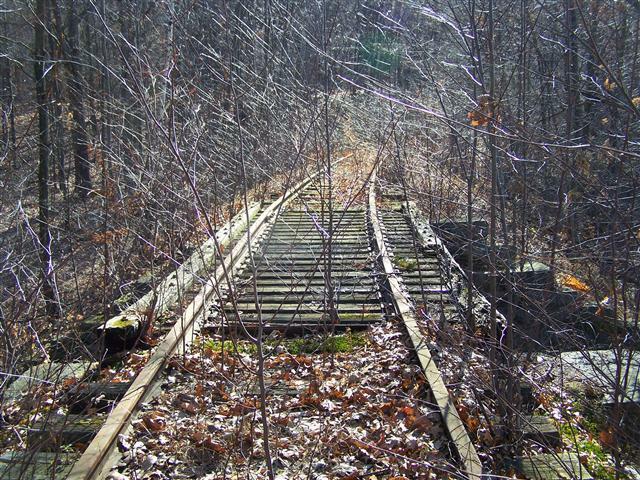 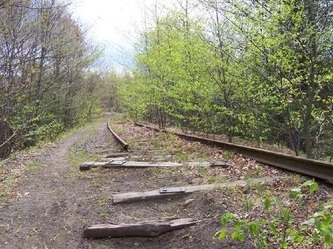 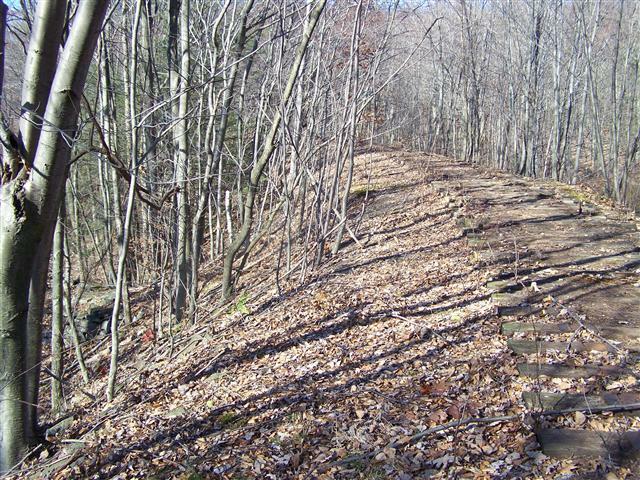 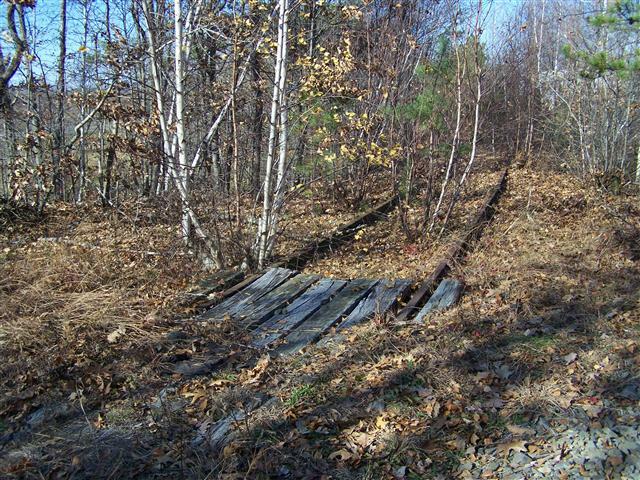 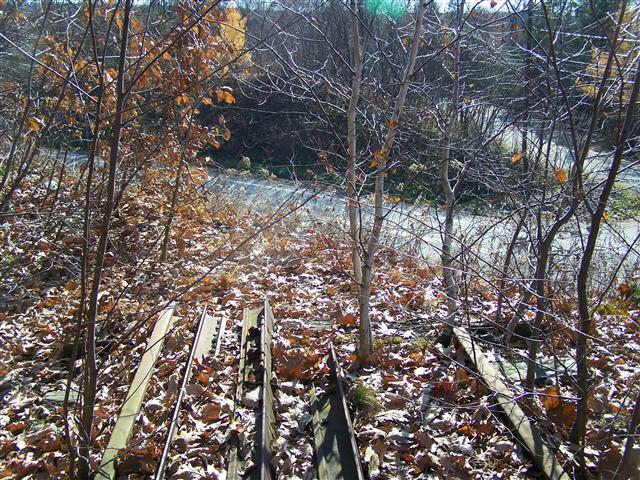 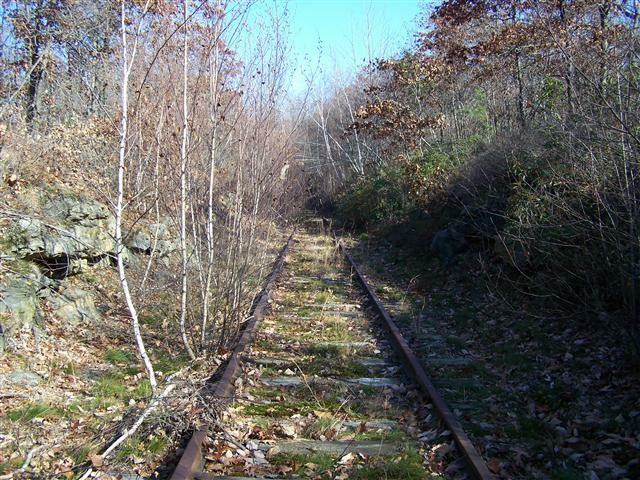 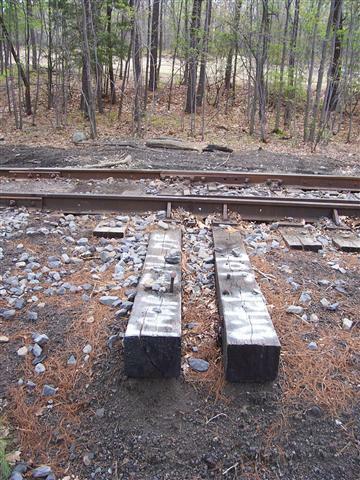 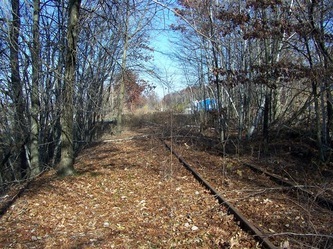 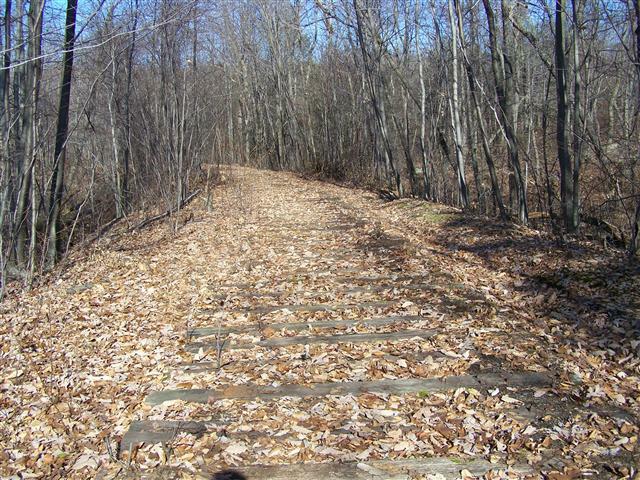 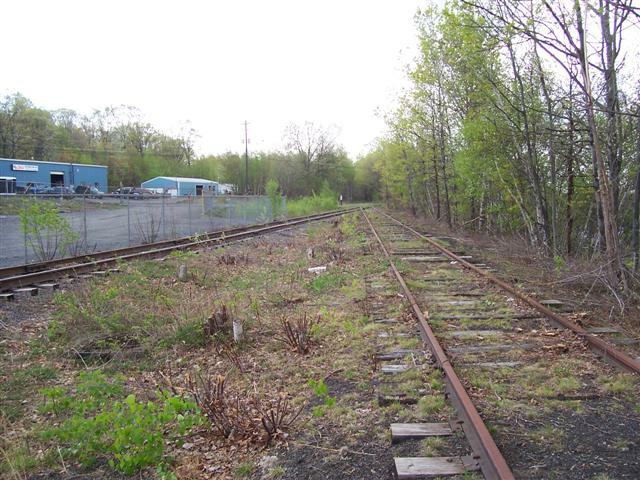 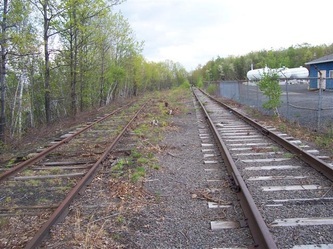 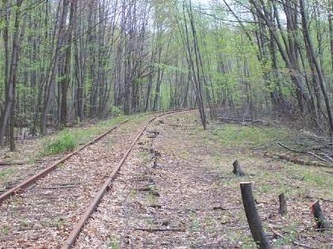 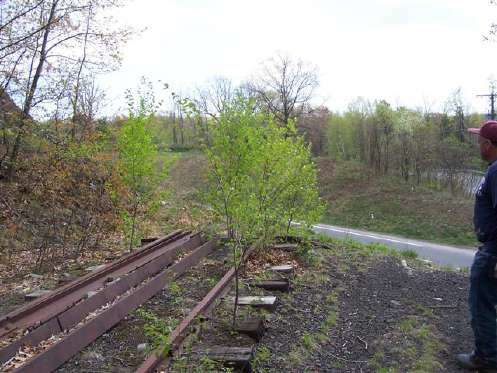 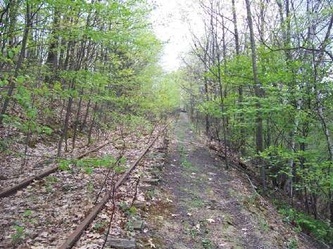 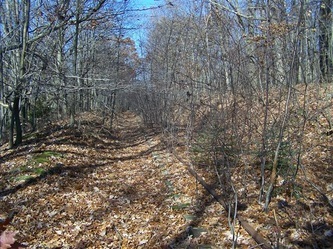 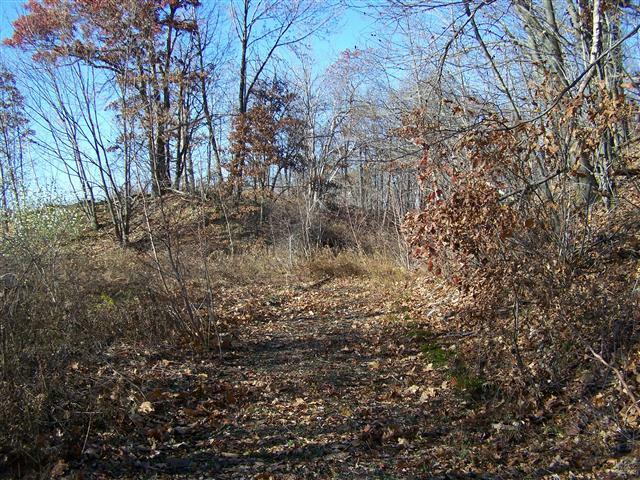 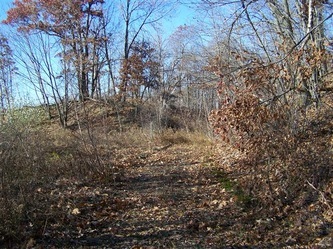 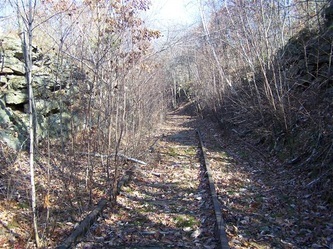 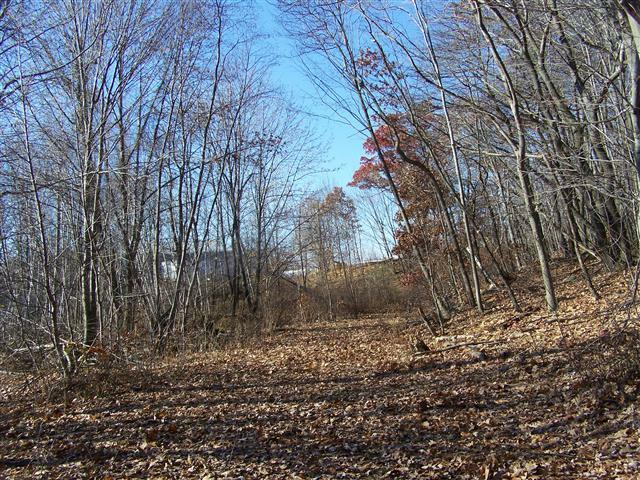 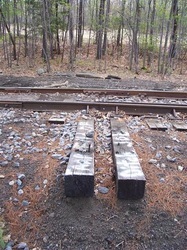 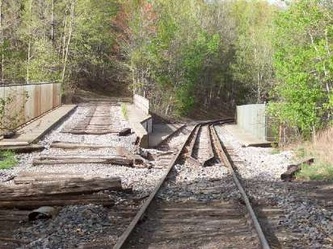 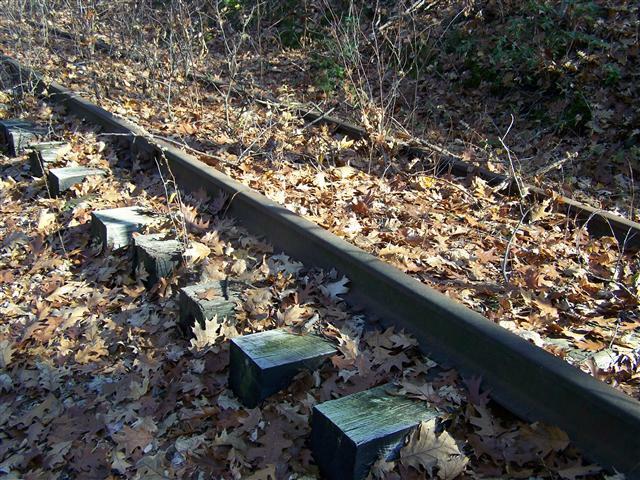 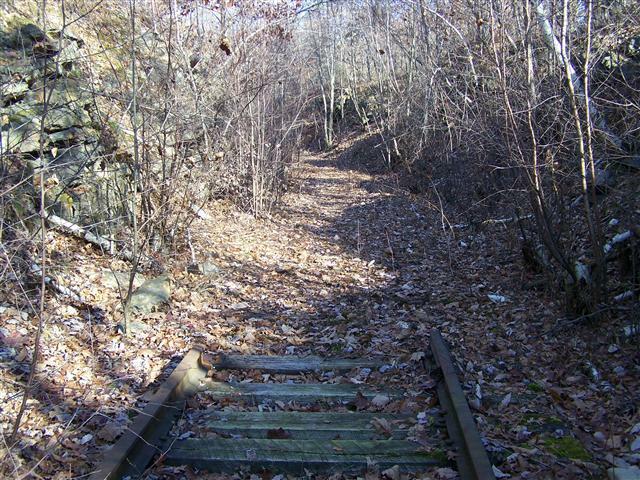 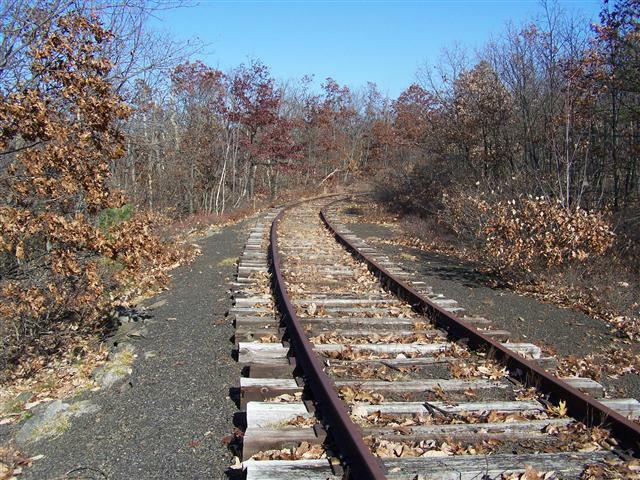 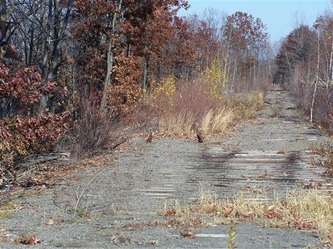 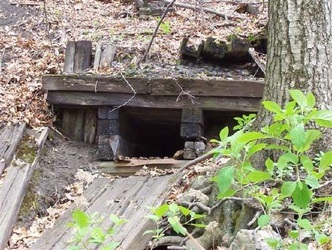 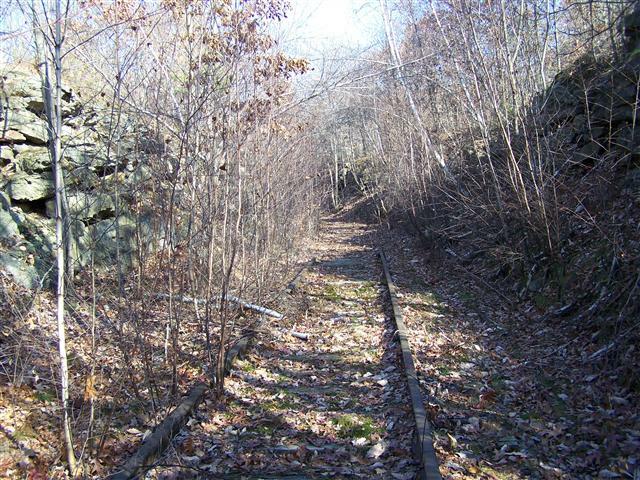 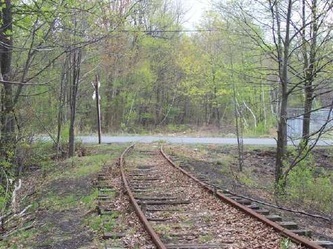 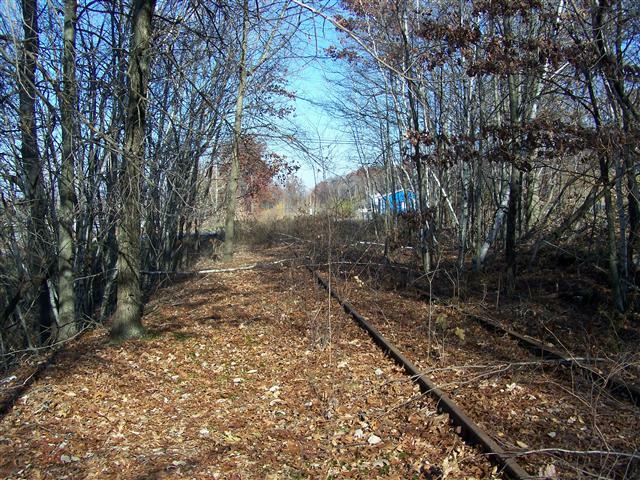 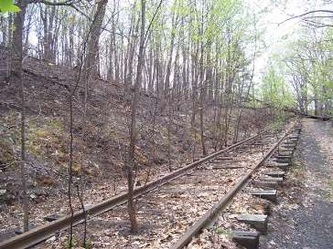 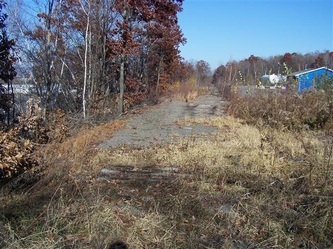 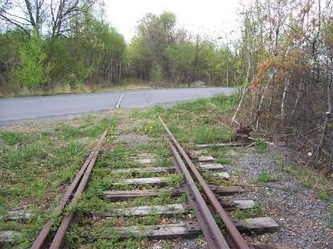 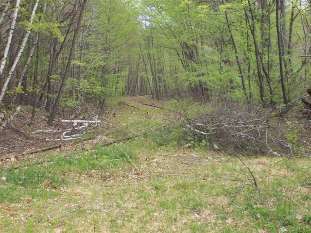 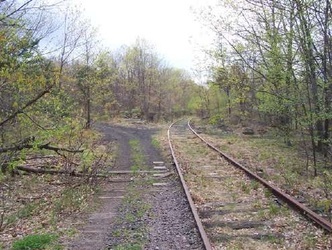 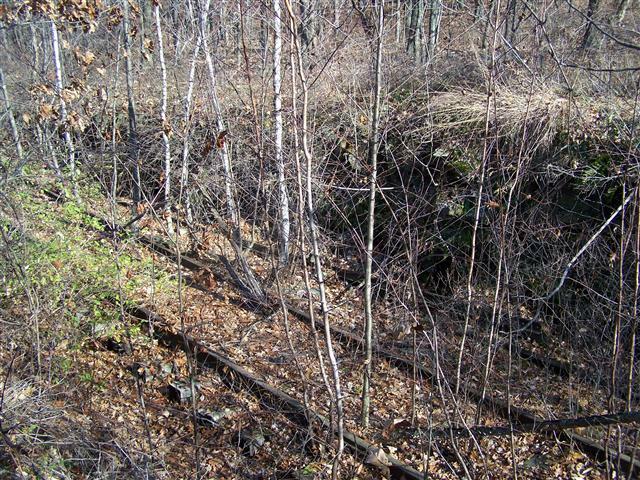 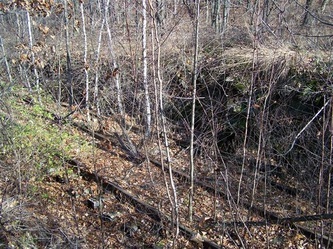 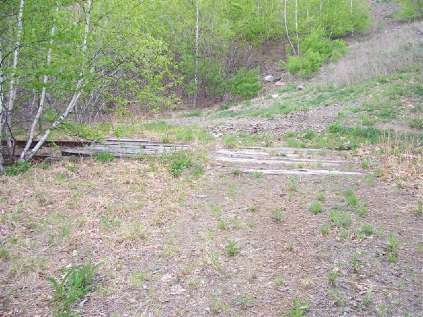 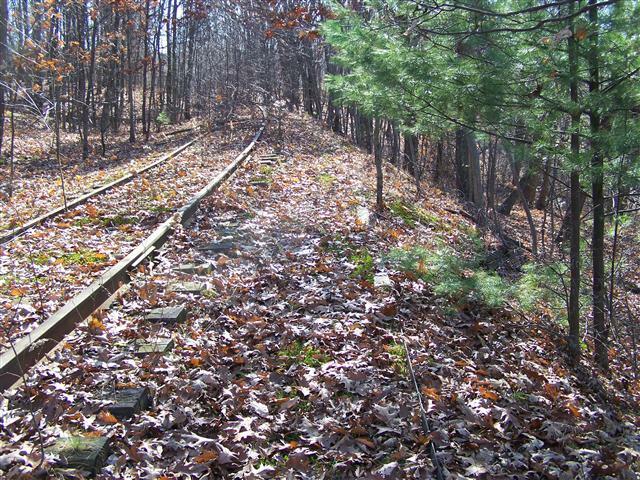 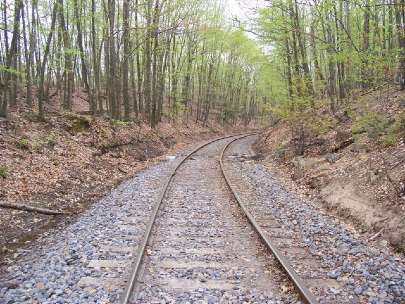 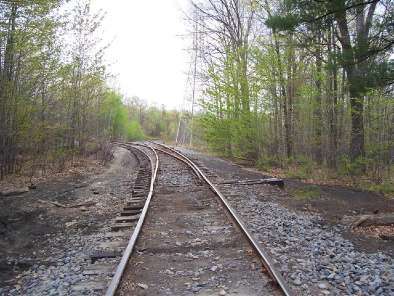 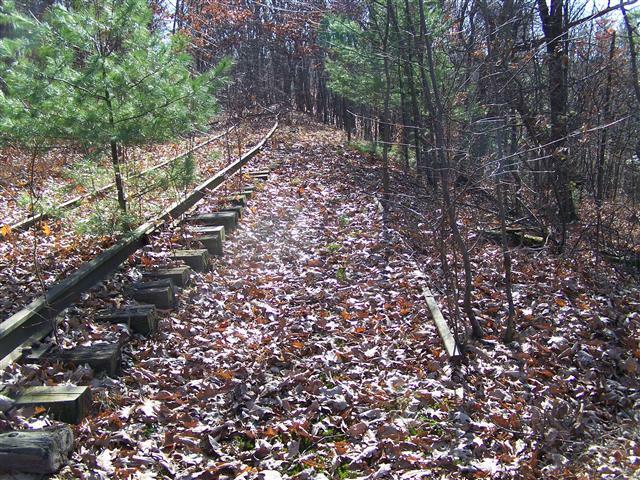 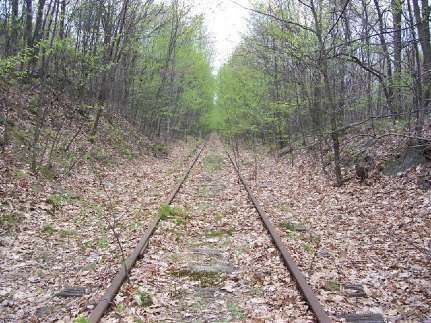 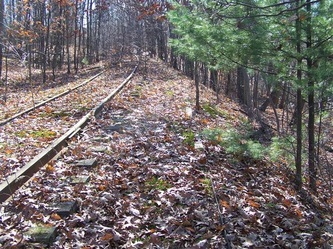 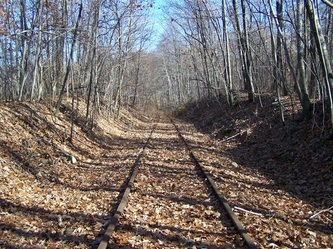 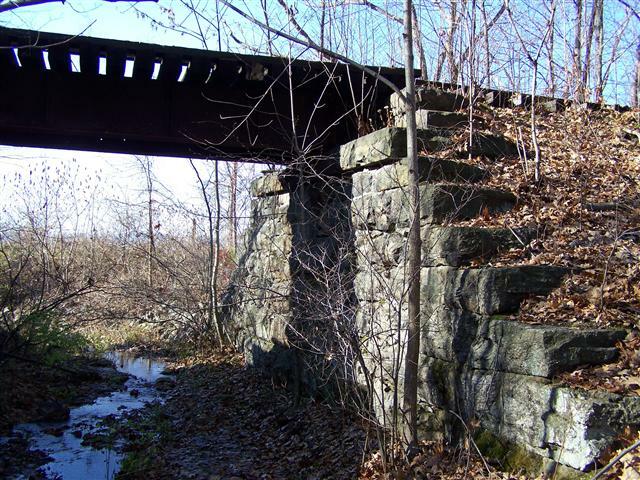 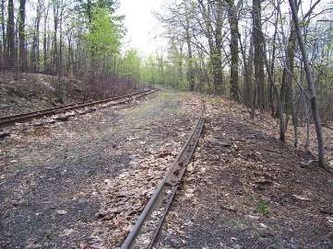 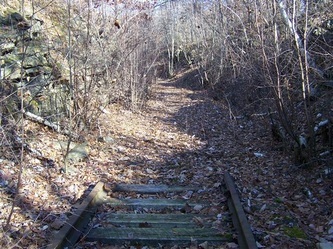 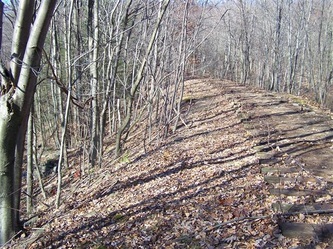 We went back to this section to look at a section of the Wilkes Barre & Eastern railroad which connected with this line at Suscon. 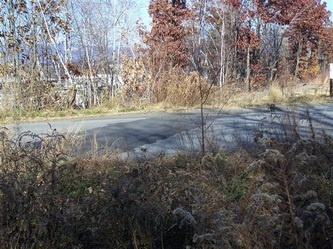 Starting at the now removed bridge over Suscon Road we walked this section north up to Freeport Road. 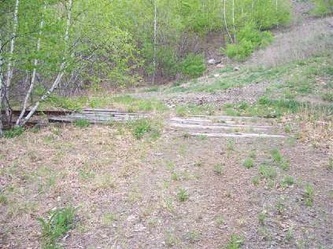 These pictures provide a comparison to the 2006 pictures except the fact the sequence is reversed.